Mark Scheinberg, from an idea to 4.9 billion dollars - Casino Inside - The gambling industry magazine! Mark Scheinberg is one of the parents of online gambling; in 2001, when the global gambling industry was still fresh, he, along with his father, founded PokerStars. PokerStars immediately became a leader in the industry, especially in online poker, where it still holds the spot. In 2014, Mark Scheinberg decided to sell his online empire for 4.9 billion dollars to the Canadian company Amaya. This transaction allowed Amaya to add 85 million users to its database, thus becoming the largest online gambling company, and made Mark the 405th richest man in the world and one of the top 10 richest Canadians, according to the 2015 Forbes rankings. Born in Israel in 1973, Mark moved with his family to Canada at age 13. Although he got into college, he dropped out after only one year. And from that moment on, he started working the hospitality industry, which sent him on a number of trips to Asia and South America. After a while, he entered the online gambling industry. In 2001, at just 28, he founded PokerStars, along with his father – a former IT programmer at IBM Canada, where he developed the Unicode standard, that allows Asian computers to recognize a European script and vice versa. Initially functioning only in beta version, soon the company allowed users to bet real money. Rational Group – the company that actually owned the online platform Poker Stars and, later on, Full Tilt Poker, was initially based in Costa Rica, but then moved to the Isle of Man, for tax reasons. PokerStars only won the appreciation of the players after organizing a few big tours. The tipping point came in 2003, when Chris Moneymaker became a millionaire by winning The World Series of Poker (WSOP), the largest event in the poker industry. And he had only been able to enter the competition after winning an online contest on PokerStars. In 2004, the company’s estimated worth had reached 2 billion dollars, becoming the largest online poker room. In 2009, PokerStars broke the world record for the largest online poker tournament ever organized, when 149,196 people registered to compete, then broke it again in 2011, when more than 200,000 participants logged in after paying a one dollar buy-in. First place won 50,000 dollars. And the online traffic was so intense, that the servers gave in, and the tournament had to be suspended for approximately 20 minutes. Two years later, in 2013, they managed to break the record again, when 225,000 players entered the online tournament. The company’s run wasn’t easy, though, as it was involved in a number of scandals in the US, where the legislation regulates online gambling. 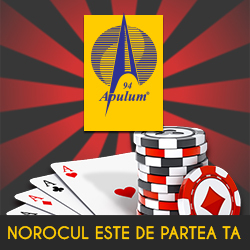 On the 12th of April 2011, the Attorney General decided to prosecute a number of people who were connected to platforms such as PokerStars, Full Tilt Poker și Absolut Poker, also blocking the websites, after these online poker rooms allowed American gamblers to use their services, although the American law – The Unlawful Internet Gambling Enforcement Act of 2006 – explicitly forbade it. This day remained forever in history under the name „Poker’s Black Friday”. Scheinberg managed to overcome this, after which he decided it was time to buy out his competitor, Full Tilt Poker. In order to obtain permission to buy it, PokerStars had to sue the Department of Justice. Finally, they struck a deal that cost PokerStars 731 million dollars. The negotiations for the deal between Rational and Amaya Gaming lasted for 6 months, during which they almost got canceled, when the state of New Jersey suspended PokerStars’ license. The sale finally went through, and the Scheinberg family gave up on all their stock for 4.9 billion dollars. Today, among the games that PokerStars offers, you can find: Omaha, Texas Hold’em, Courchevel, Razz, Badugi, Triple Stud, 8-Game Mix etc. Currently, around 25,000 gamblers play online poker with real money on the PokerStars platform, daily. The Spanish press recently spotlighted his interest in the country’s real estate market. Spain is currently healing after the 2008 real estate crisis, and the opportunity for investments seems significant. Scheinberg recently paid 225 million euros for 50% of OHL Desarrollos and Grupo Villar Mir, that own Centro Canalejas Madrid, a giant project that means to turn a number of historical buildings in the center of the Spanish capital into a multifunctional complex.